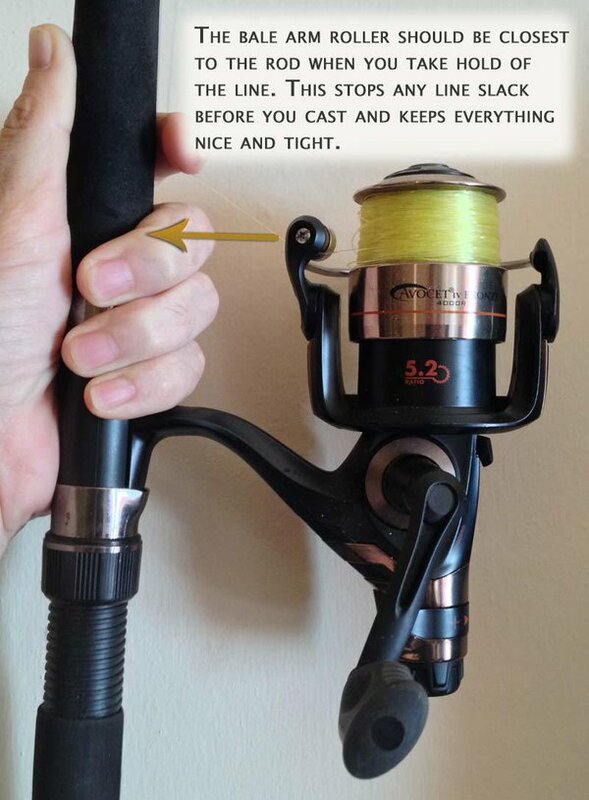 Shore fishing tips and tricks. The Beginner's guide to sea fishing part 4. Garfish as a rough guide will be around 4ft to 10ft under the water. Mackerel and pollock as a rough guide will be half way up. If you're float fishing what you need to do is setup the stopknot depth to around 10ft and see what happens. If nothing happens after 10 to 20 minutes raise or lower the depth until you find the fish. My nickname is Simon '3 rods'. I cast one at maximum distance, one at half distance and the third just in the water. The one just in the water would often catch more than the other two combined! All too often I see people chucking out their rigs as far as they can cast. Just as often I read articles where kids, beginners etc have caught lovely double figure beauties. These people aren't casting 200 yards... they can BARELY cast 40 yards! Don't assume the best place to fish is the maximum distance you can cast. Real example: I went beach fishing with some friends at Oddicombe and one brought their son Andy with him. Andy hadn't done much fishing and hadn't used a multiplier reel before. He messed up the cast and had one of the biggest birds-nests I'd ever seen. The rig was barely in the water and we could still see the top of his rig on the beach. These beginners and children, even Andy, are not lucky, they are simply hitting the fish where they are feeding. Don't ever assume you have to cast 200 yards to get a fish. 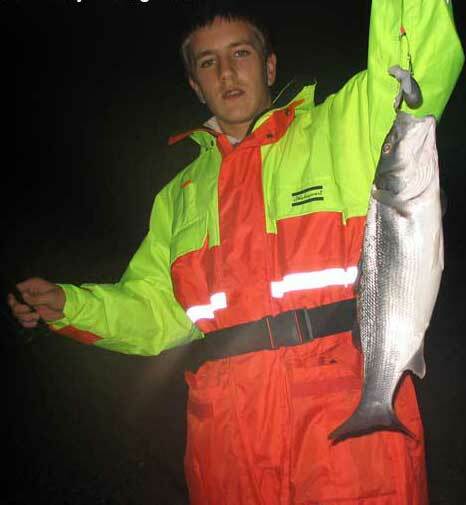 Quite often you can catch them barely 20-40 yards out (or even just a few yards in the water like Andy above)! The highest and lowest tides through the year are on the day of a new moon +3 days and also on a full moon +3 days. Take advantage of spring tides at low tide and go and look for troughs, dips, breaks in rocks etc. Low tides on a spring tide are excellent for scouting fishing areas. Meadfoot beach had a really low spring tide last year and I saw sandy areas in the rocks I never knew existed. I now aim for that spot when I'm fishing with great results! If you're catching nothing but others are is your bait too big or small? Are they using a different bait? go ask them! This 10 second effort can result in lots of fish instead of none. If you have multiple baits the I would suggest you set-up a pennel rig (two hooks, one above the other). On the top one put on, say, a piece of mackerel. On the bottom hook put on, say, rag or lug with a squid tip. You should be able to quickly see what bait the fish are interested in. A friend called Tony told me he would go float fishing but removes the weight and sticks feathers on as the rig. He swears that he catches more when he does this! Don't feather after dark, the fish can't see the feathers in darkness! I'm amazed at how many times I've seen people feathering in darkness. When reeling in the line do so slowly as there is a good chance you'll hook a fish on the retrieve (I've caught a number of mackerel, bass and pollock doing this!). If you're feathering and not catching don't use the same technique the whole time you're there. Instead of one long pull do half a dozen smaller tugs in. Trying pulling in at angles. Try letting the weight drop between each pull. Do ANYTHING that's different to see what works. Don't be the person who stands there for hours doing the same thing and not catching anything! If feathering just drop the feathers directly below you and stand there jigging them up and down. You would not believe the amount of times I've left the pier with a bucket full of mackerel for a family BBQ and no-one else had any simply because this was what I was doing. When feathering I see people casting HUGE distances but the mackerel can often be swimming tight against the pier wall. When you cast far out by the time the feathers are close to the wall they are almost out of the water so you're never deep enough at the pier wall to find them. Don't be afraid to use beads and other shiny materials on your rigs. Just because others don't doesn't mean they're right. If you really want to float fish and nothing much is happening what I normally do is reduce or remove the weight completely and then set-up a 1up-1down rig similar to this one but have the bottom hook on the bottom of the line just like you normally would for float fishing. The reasons are simple. More bait and more hooks mean more scent trail and more chance of landing a fish. Don't be boring and follow the crowd because quite often the crowd will be sat down bored watching people like me landing fish after fish. Another good reason for using two hooks on quiet days is you can have two different baits on (or maybe a rubber eel) so you can see what baits the fish are feeding on. I can't emphasize this enough - experiment all the time and if you think of something really bizarre while you're sat there looking at a slack line GO FOR IT. You have nothing to lose and everything to gain! Are you using rigs with more than 1 hook and line (like this 1up 1 down rig) and having problems with the hooks tangling up with each other? 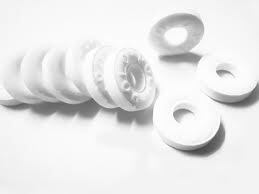 Well then carry some polo mints with you and as you're about to cast out put both the hooks inside the mint with the hole and cast out. Your hooks should remain secure and the salt water will very quickly dissolve the mint (try it next time you're out) which will then let your lines be exactly where you wanted them. Bait clips don't always work but the mint with the hole can do a great job! Are you in a competition or want the fish where you are and not where others are? Ground baiting an area isn't only for freshwater fishing. It works just as well for sea fishing in places with gentle currents (like marinas and harbours). I really shouldn't be saying this because my friends might see it :) but I will often ground bait my area when they aren't looking. Mackerel is good but normally anything that I have at hand (even catches you'd normally throw back) make great ground bait. You can't have a bigger scent trail that an area full of blood oozing fish on the bottom of the sea bed.